The safety of undiverted restorative proctocolectomy (RPC) is debated. This study compares long-term outcomes after pouch leak in diverted and undiverted RPC patients. Data were obtained from a prospectively maintained registry from a single surgical practice. One-stage and staged procedures with an undiverted pouch were considered undiverted pouches; all others were considered diverted pouches. The outcomes measured were pouch excision and long-term diversion defined as the need for loop ileostomy at 200 weeks after pouch creation. Regression models were used to compare outcomes. There were 317 diverted and 670 undiverted pouches, of which 378 were one-stage procedures. Pouch leaks occurred in 135 patients, 92 (13.7%) after undiverted, and 43 (13.6%) after diverted pouches. Eighty-six (64%) leaks were diagnosed within 6 months of pouch creation. Undiverted patients underwent more emergent procedures within 30 days of pouch creation (p < 0.01). Pouch excision occurred in 14 (33%) diverted patients and 13 (14%) undiverted patients (p = 0.01). 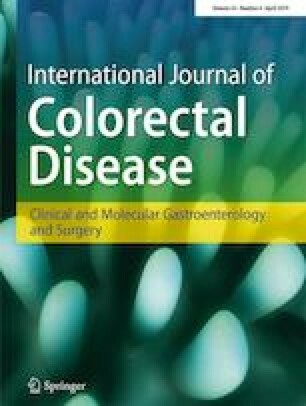 Thirteen (32%) diverted patients and 18 (21%) undiverted patients (p = 0.17) had ileostomies at 200 weeks after surgery. In multivariable analyses, diverted patients had a higher risk of pouch excision (HR 3.67 p < 0.01), but similar rates of ileostomy at 200 weeks (HR 1.8, p = 0.19) compared to undiverted patients. Despite a likely selection bias in which “healthier” patients undergo an undiverted pouch, our data suggest that diversion does not prevent pouch excision and the need for long-term diversion after pouch leak. These findings suggest that undiverted RPC is a safe procedure in appropriately selected patients. The institutional review board of the Icahn School of Medicine at Mount Sinai approved this study.